Discussion in 'Giveaways and Contests' started by khanyash, Dec 30, 2018. I do not have any details. If I get the details then will update here. 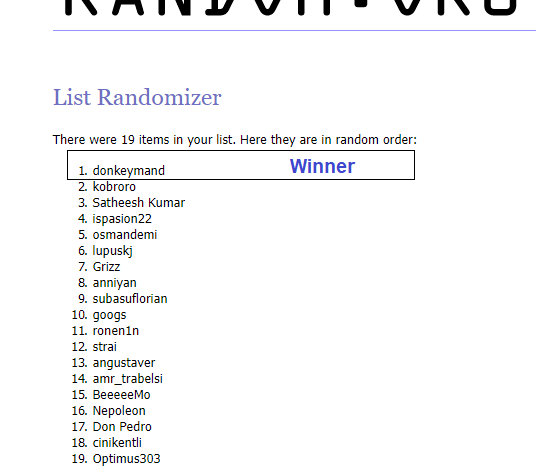 @donkeymand I have sent you the winning message. You have 3 days to reply the message. Of course, I want to register with great pleasure. Count me in as well! That is one great game! Thanks for doing this.. Many thanks for organizing the competition and an award in the form of a game code! Thanks for the chance mate. Merry Christmas cheers. Nice game Please count me in.